We believe that children in preschool and grade-school learn best by stories. By the time children go to middle school, they should have a solid foundation of Bible understanding. Your teachers might learn something too! These are not cookie-cutter lessons. 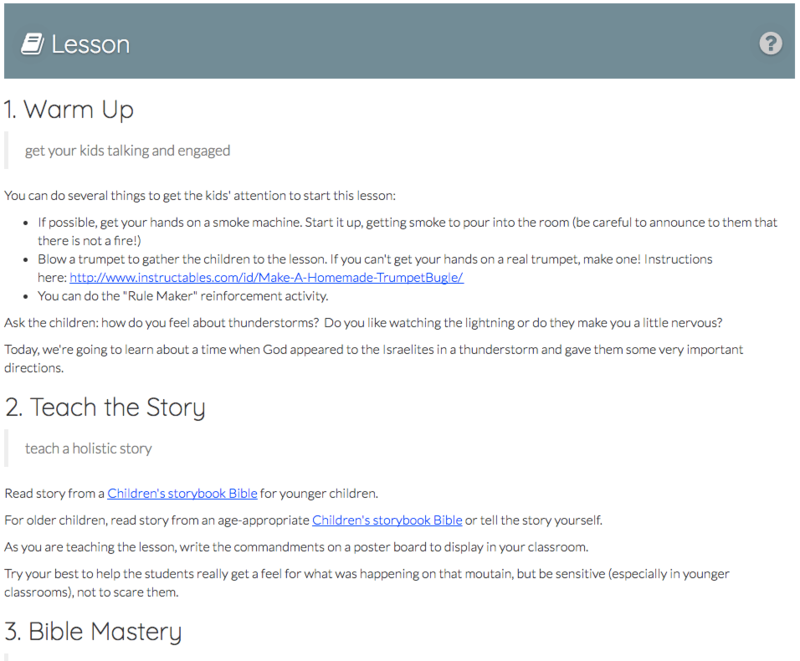 Each lesson is thoughtfully built to increase the likelihood that your children will remember the Bible stories for a long time to come. Topical lessons that require children to apply a concept to their lives do not work as well as lessons that teach a concrete story that will stick with them for years to come. 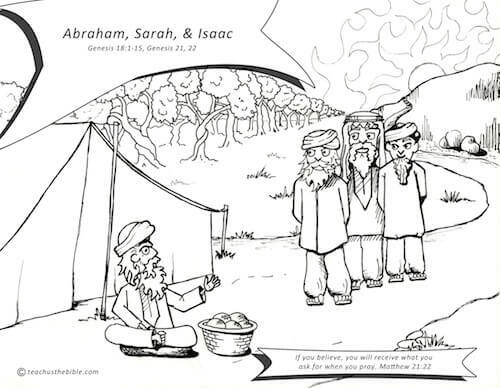 Our artist creates fresh take-home coloring sheets for each lesson. 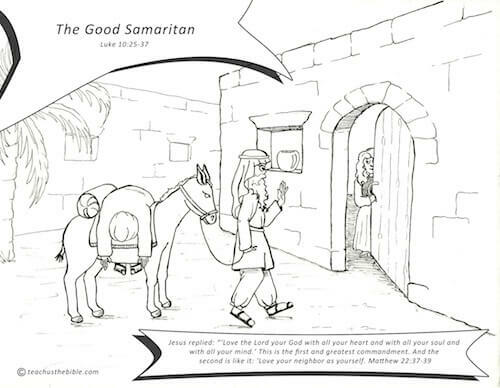 These coloring sheets are specially designed to highlight an aspect of the story that will be a catalyst to remind your children of the story. They are a teaching tool for use in the classroom and at home. 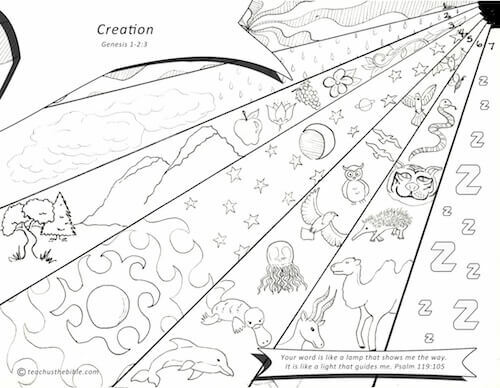 Your kids will come to class excited just to see the coloring sheet for that week. 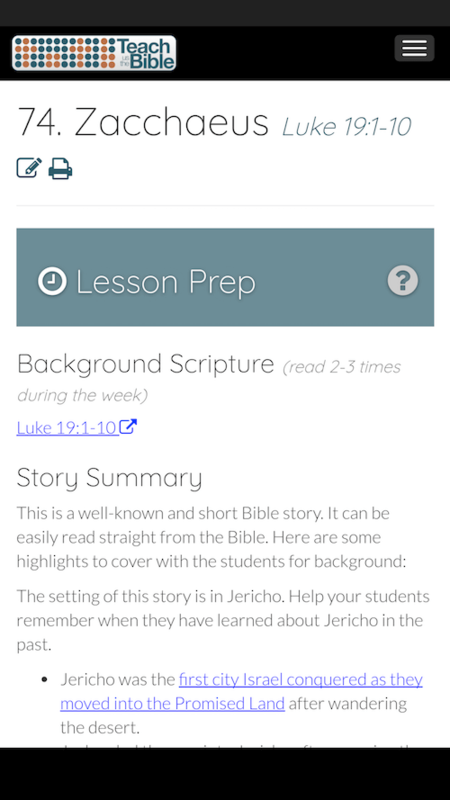 The reinforcement activities we include in our Bible lessons are designed to augment the Bible stories, not waste time. We aren't the only ones with good ideas. 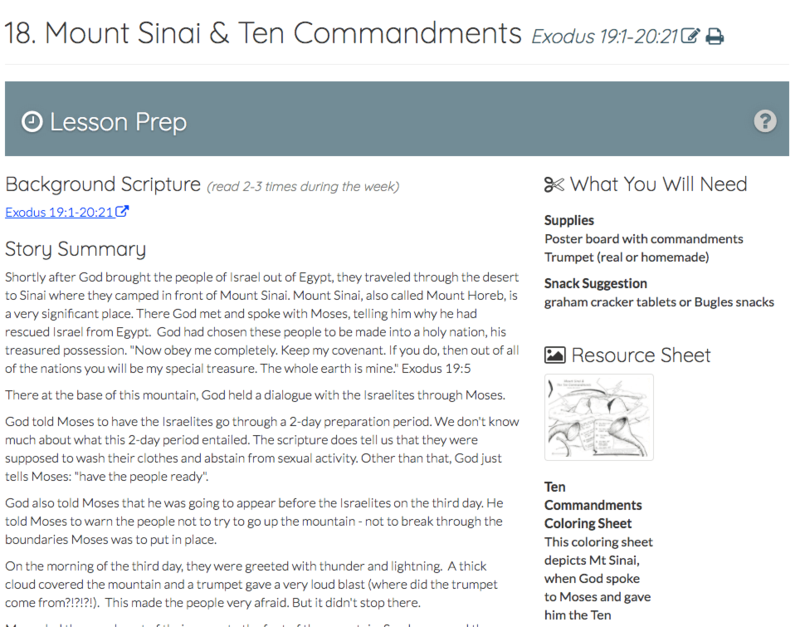 Teach Us the Bible allows teachers around the world to contribute their own ideas and rate others (think Amazon.com) so you get access to a wide variety of high-quality activities for each lesson. Your teachers can use mobile devices such as smartphones and tablets directly in the classroom. This ensures they have latest version of each lesson and they can save paper too! 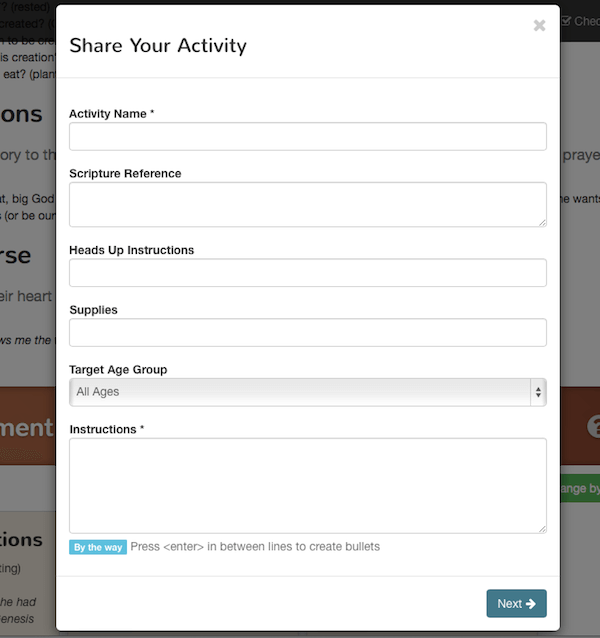 Each church can manage their own teacher logins. 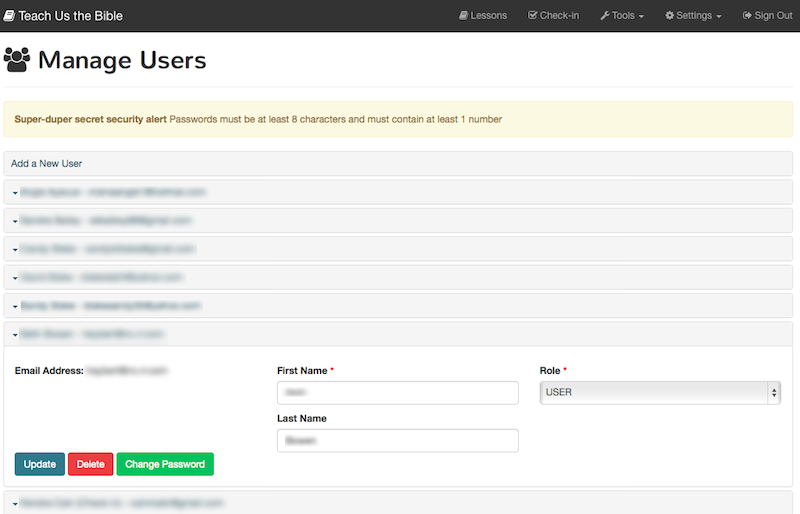 Communicate with your teachers by leaving customized messages for them when they log in. 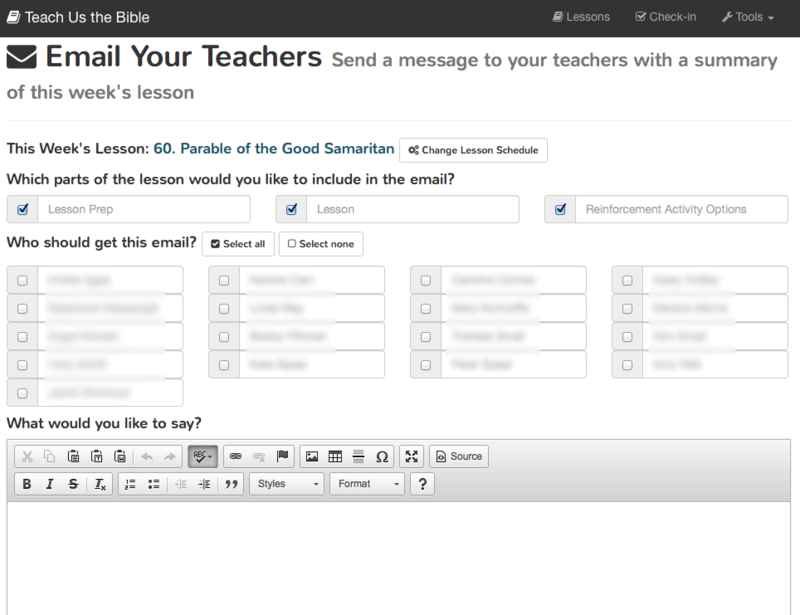 Send an email to your teachers with a custom message and the content of the upcoming lesson, right in their email box. Delivery of curriculum through the web allows for lower costs for us and you. No more buying too many lesson books, resource packs, or student books "just in case"
Our entire curriculum is available for free to anyone who wants to use it. Michelle received a Bachelor's degree in elementary education from Averett University in Danville, VA. After teaching for a year and a half, she retired to become a stay-at-home mom and homeschool teacher. She now teaches preschool. 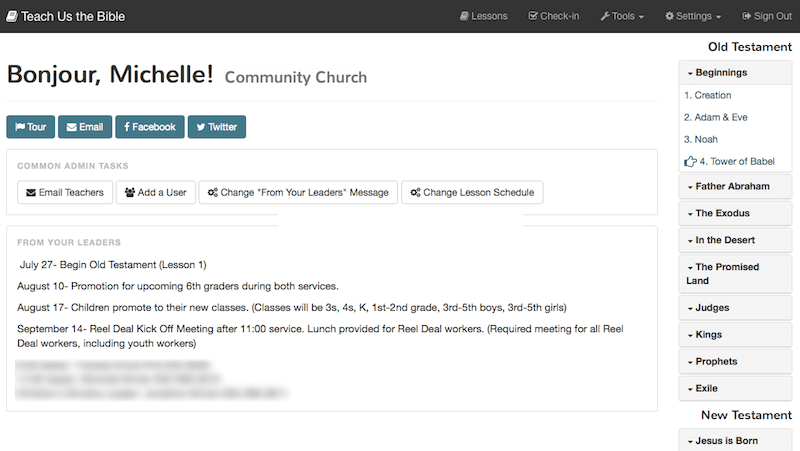 She has been teaching Sunday school for over 15 years and has a passion for helping children get excited about learning the Bible. She realized early on in her teaching that the Bible doesn't need watered down, amp'd up, or glossed over. Over the years, she has continued to refine her teaching style of giving children a comprehensive understanding of the Bible story, and then providing memorable and engaging activities to help them remember it. Michelle is the lead curriculum designer. She laid out the chronological sequence of the lessons, created the lesson instructions, and the reinforcement activities (with some help from the kids as well!). 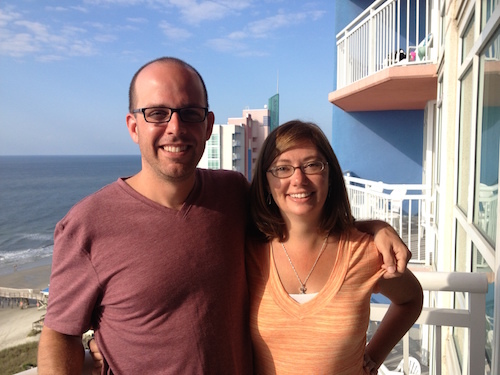 Jonathan spent 14 years working in the IT industry before becoming the Executive Pastor at Wilson Community Church in North Carolina. He has a Bachelor's degree in Psychology and a Masters degree in Information Technology. He has been doing web programming for the last 14 years, but also has a passion for teaching children the Bible. Jonathan is the programmer, content editor and business lead on the team. This is not just art to be admired - it is art with a purpose. We believe the Bible is God's perfect word to us. That's why we are so passionate about creating a curriculum with the singular focus of teaching kids the Bible! This is not a curriculum based on a specific theological perspective. Rather, we try our best to stay as true to the Bible stories as possible and let them speak for themselves. If you are interested in what we believe on a particular topic, feel free to email us at sales@teachusthebible.com.